We believe in an DIY approach to fundraising. From bike rides to birthday parties, here you can support our mission in a way that's meaningful and enjoyable for you. 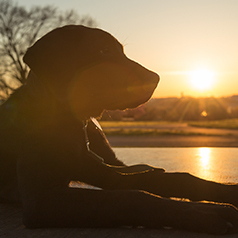 Below you'll find different types of fundraising events that you can personalize and host to raise critical dollars for our incredible dogs. Each comes with a fully customizable fundraising website and helpful tips on how to get started. 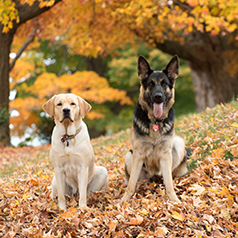 Download our Guiding Eyes for the Blind Registration How-To Guide here. Concert Everyone loves music, right? Why not organize a concert with your community's local musicians or engage student bands with a Battle of the Band? Sell tickets and concessions to raise critical funds for the Guiding Eyes for the Blind mission. Run/Walk/Bike Every step helps Guiding Eyes for the Blind. Start a walk in your hometown or create a community 5K, Color Run or Fun Run, raising money through registration and sponsors. 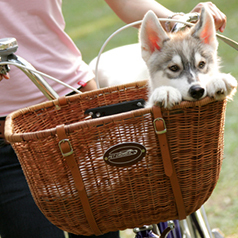 If biking is more your thing, set-up a Bike-A-Thon around your neighborhood or Spin-A-Thon at your local cycling studio. 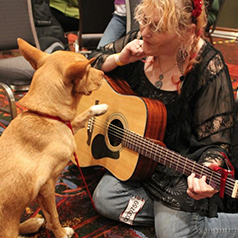 Of course, these are great events for dogs and their two-legged companions. Party with a Purpose What's better than adding a good cause to your good time? Turn your birthday celebration, a workplace Happy Hour or your Super Bowl party into a fundraiser to support Guiding Eyes for the Blind. For something more formal, organize a small or large-scale gala event for your circle of influence. You secure the venue, food, entertainment and prizes and raise money through ticket sales and sponsorship. Memorial Losing your 2-legged or 4-legged love one can be hard. Click here to find out how you can celebrate the legacy of a loved one by creating a memorial campaign in their honor. Birthday & Wedding Celebrations Want to skip the birthday gifts this year and do some good? Interested in making an impactful donation in lieu of favors at your wedding? 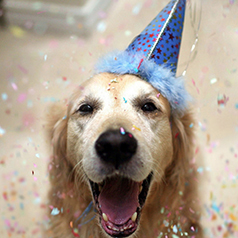 Here you can turn your celebration into a fundraiser for Guiding Eyes for the Blind. Use Your Imagination The options for setting up fundraisers is as big as your imagination. We have plenty of ideas for you (Canasta Tournament! Denim Fridays at work! Puppy Parade!) but this is about what you (and your friends, family and co-workers) will enjoy doing most. 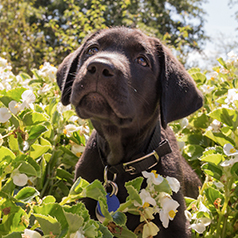 Whatever your favorite activity - or whatever your fun idea - you have can have a great Guiding Eyes for the Blind fundraiser!